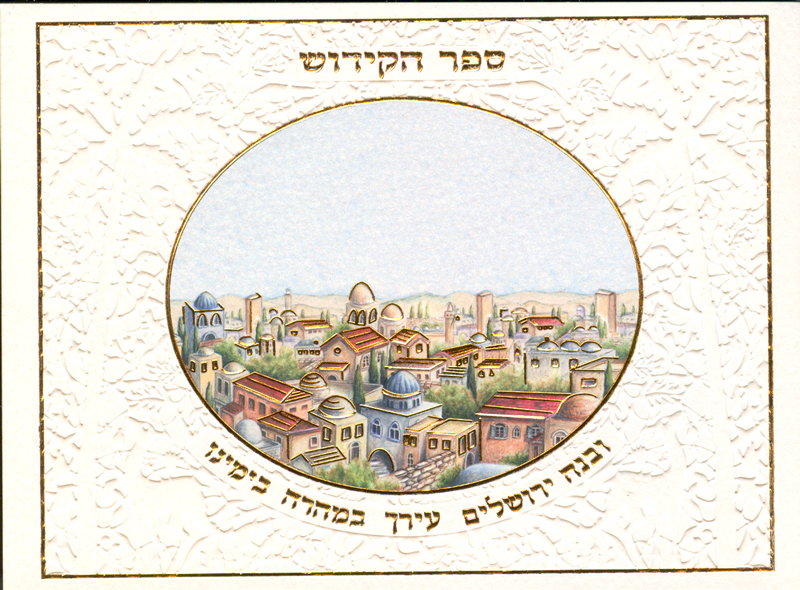 Artistic Sefer Hakidush features a high-end embossed cardstock cover. Freshly colored Jerusalem scene looks beautiful against the white background. All 124 pages are superior quality and all text is nested in a neat thin border. Includes full Shabbat Zemirot, Birkat Hamazon, Sheva Berachot and kiddushim for al the chagim. Plus Chassidic songs.